BurnWorld.com: Will the New Netflix...Qwikster Be the End of DVD Rentals? Well Netflix is at it again. Today all over the news was Netflix decision on splitting up their businesses, meaning their DVD rental by mail and their movie streaming service. Essentially we now have Netflix broken up into two separate entities where the Netflix brand will be the movie streaming service which it originally intended to offer back in 2002 while a new brand called Qwikster will be the DVD rental by mail service. The DVD’s you receive in the mail now with their famous Red mailer will look identical except for the new Qwikster logo in place on the Netflix logo. I also understand that the online service that is offered online will not change either, again expect for the new qwikster.com domain. What will change though is the pricing models. No longer will you be able to have a streaming + DVD out as an option like you do (or did) have with the existing pricing options. Since these two companies will be running as separate businesses you will need to sign up for both if you want both DVD rentals and streaming. If you are already a member of Netflix the streaming will continue as normal if you have that service already. Personally I already canceled my DVD rental option since I usually held on to the discs for over two weeks at a time which didn’t make it worth the few bucks in my eyes, and with the plethora of RedBoxes and Blockbuster kiosks around my area, renting a new DVD can be done on the cheap and convenient. One of my favorite questions I get from time to time on my Ask the Expert page is “how do I copy my Netflix DVD’s”. 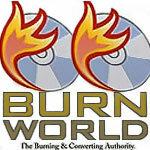 BurnWorld.com burnworld, burnworld.com, Netflix, qwikster. permalink. Techlicious: Can you use technology without risking your privacy? Until Netflix has even 1/2 the titles available for streaming as are on DVD I’ll be sticking with Quikster in spite of the name. Over 90% of the titles I want to watch are only available on DVD and eliminating the link to see whether a DVD title is available for streaming without going to another site is just plain stupid. I will be cancelling my streaming service before the next renewal.